We have a meeting this evening at Shore Towers Condominium in the conference room. 7pm. All are welcome. 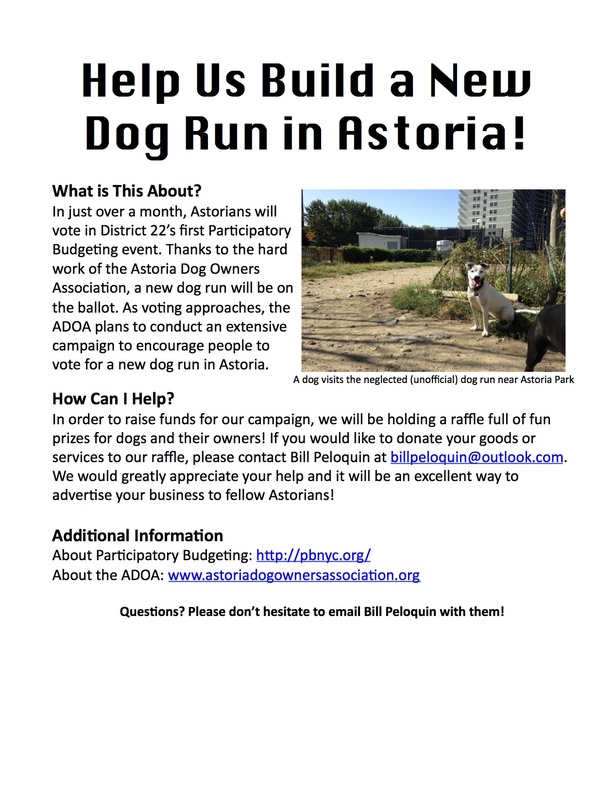 We have some amazing news here at Astoria Dog Owners Association! We made the Participatory Budgeting Ballot!!! Voting will be held between April 12th and April 18th. Keep an eye out for more information about our campaign, and where the voting locations will be. You can learn more about our campaign here. In regards to planning the campaign, we have our next meeting on Wednesday March 4th, at 7pm. It will be held, as usual, in the Shore Towers Conference Room. All are welcome (it is an open/public meeting). Attend to learn more or get involved! Our chairman will also be attending the latest Astoria Park Alliance meeting tonight at the Bohemian Hall & Beer Garden on 24th Avenue. 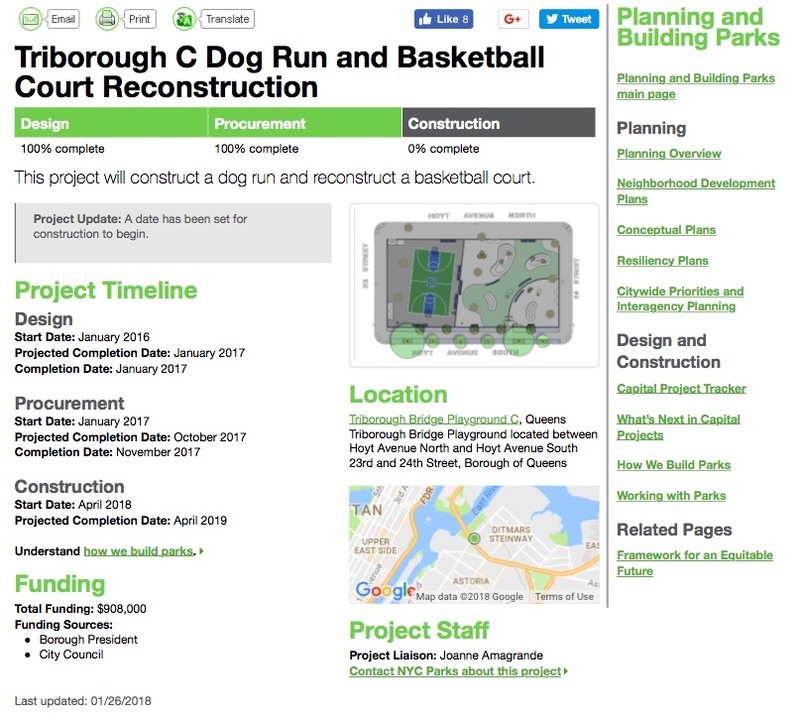 There, he will be providing updates on our progress towards getting this new dog run built. It too is an open meeting, so feel free to check it out! Astoria Park Alliance has been a huge supporter of ours, and we are grateful for their invitation tonight.